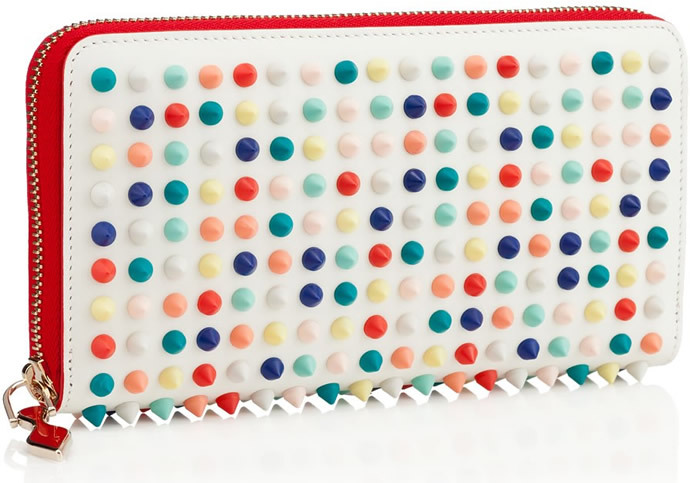 Christian Louboutin’s Spring/Summer 2014 collection looks good enough to eat. 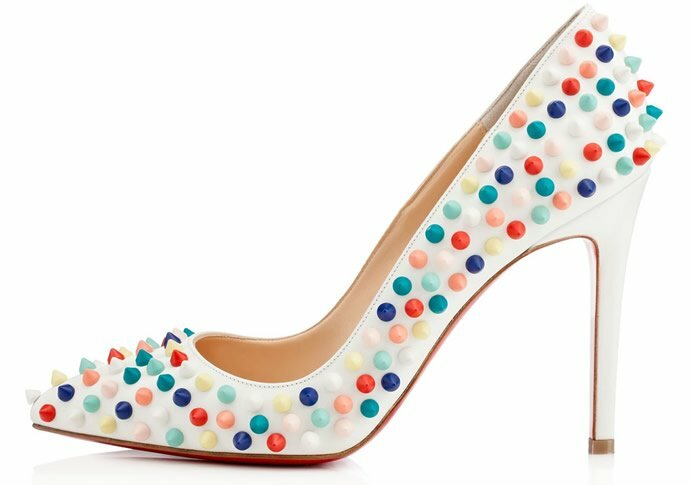 With what appears like honey glued M&Ms, thanks to the French fashion label you can now wear the tiny marvels on your feet, or carry it in your arm this spring. The colored nails, sequins and leather clasp are a playful interpretation of vibrant floral pattern and pastel hues ideally reserved for all spring collections. 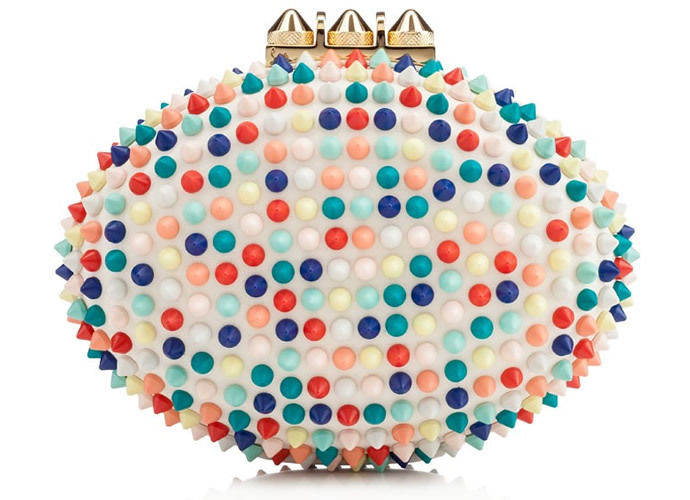 Christian Louboutin’s footwear and bags for Spring/Summer 2014 collection shows off its sweet side of season. 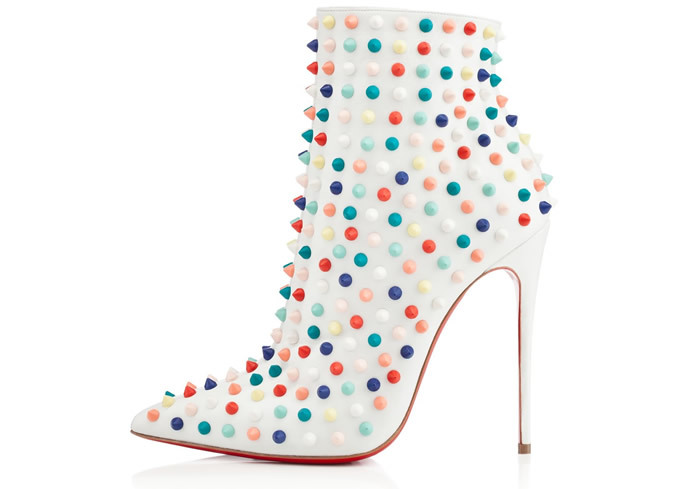 The most-loved Pigalle pump takes on a fresh, new look with rainbow-hued spikes. The Pigalle Spikes white matte leather pumps sport Christian Louboutin’s iconic lacquered red soles and can be styled with everything from slim tailoring to cocktail dresses. 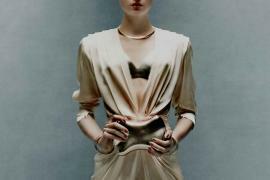 Heel measures approximately 100mm. 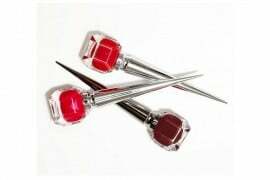 The “Lady Peep Sling Spikes” is a sultry little lady with attitude to boot. Heel measures approximately 150mm. 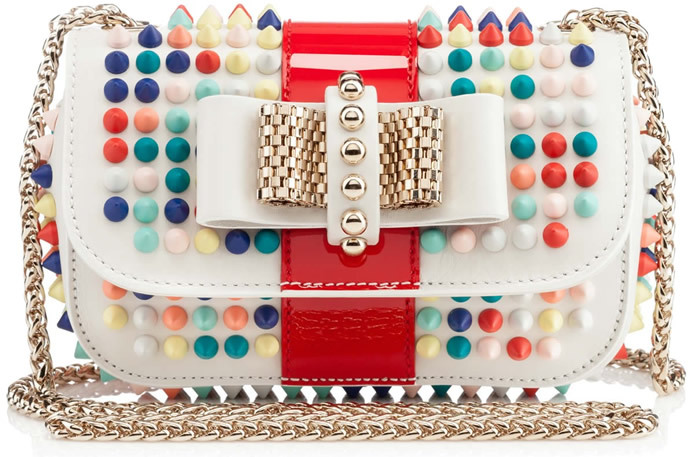 Christian Louboutin white leather Sweety Charity crossbody bag styled with allover multicolor spikes, a red patent-leather center panel and a smooth back. The Panettone Spikes white leather wallet has detachable leather shoulder strap, fuly lined in signature red twill. Sure to be the pinnacle of your ensemble, “Mina Clutch” speaks to the iconic Louboutin spike and comes complete with red leather lining. 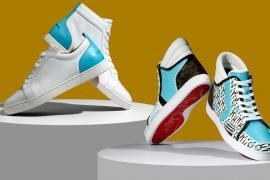 The Louis Spikes Calfskin High-Top Sneaker has flat rubber sole with signature red inset. 4″H shaft laces up at front. 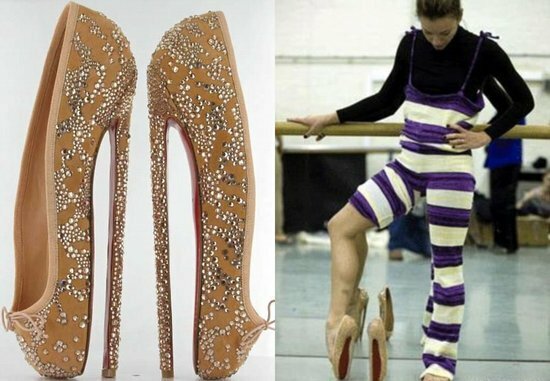 ‘Snakilta’ is a sassy little booty covered in signature Louboutin spikes. Pointed toe perfection placed gracefully on a slender 120mm heel, “Snakilta” is a rock-steady booty with some serious attitude. 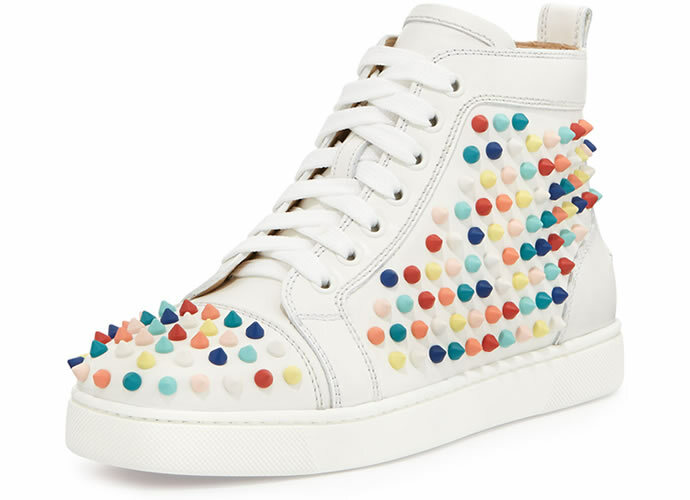 And in white leather with multicolored matted spikes, “Snakilta” is sure to make a statement.